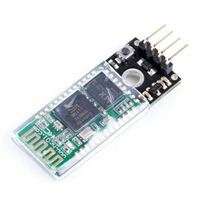 The HC-06 Bluetooth module is the simplest way to add bluetooth communication to your next Arduino project! Allow your projects to wirelessly communicate with each other! Whether youre looking to control an Arduino with a smart phone, or pair multiple Arduinos to each other, this is the module for the job!